Mar 14, 2006 - poorly structured C-terminal region that interacts with ubiquitin and endocytic ... mology (ENTH) domain, two ubiquitin interaction motifs, and. Mar 14, 2006 - Department of Biology, Johns Hopkins University, 3400 North ...... excellent technical assistance, Michael Edidin and Sarah Boyle for tissue. Mar 24, 2009 - Sergey Leikin and papers with Dominic Lee, Geoff Baldwin, John Seddon, and ... A.A.K. also acknowledges Maxim Fedorov, Andy Mount, Mara. Jun 27, 2003 - evaluation procedures to obtain a combined âE-valueâ. ... based analyses such as PHI-Blast [1-7]. .... and PHI-Blast to rescale the e-values. System (VIMSYS) (Gupta, Weymouth, and Jain, 1991) developed under the .... an Anthropologist's Video Notebook, Master's thesis, Massachusetts Institute of. Feb 15, 2013 - Bouldin (DB) index  value shows better clustering solutions .... Thomas Hofmann BS, Smola AJ (2008) Kernel methods in machine learning. Mohammad Javad Chaichi4 and Mojtaba Mortazavi1. 1. Department of Biochemistry, Faculty of Basic Sciences, Tarbiat Modarres University, Tehran, Iran. 2. Apr 12, 2005 - Holn, M., Kurtz, S. & Ohlebusch, E. (2002) Bioinformatics 18, Suppl. ... Tufarelli, C., Stanley, J. A. S., Garrick, D., Sharpe, J. A., Ayyub, H., Wood,. Aug 23, 2009 - Bredon homology and the transfer. 42. 11. Acyclicity for G-spaces. 45. 12. Non-identity p-subgroups. 47. 13. Elementary abelian p-subgroups. follows by first applying Milnor's classifying space functor  to the group sys- tem and then ... John Milnor, Construction of universal bundles. II, Ann. of Math. Feb 6, 2015 - Alfonso AndÃºjar1, Lindsay ... 1 Ãrea de GenÃ©tica, Universidad Miguel HernÃ¡ndez, Campus de Sant Joan d'Alacant, Sant Joan d'Alacant,. Identification, authentication and key agreement protocol of UMTS ..... William Stallings, Cryptography and Network Security: Principles and Practice, Prentice-. De Marco CE, Cushin LA, Frempong-Manso E, Seo SM, Jaravaza TA,. Kaatz GW. ..... http://www.dovepress.com/testimonials.php to read real quotes from. Sep 21, 2004 - members of a protein family in databases, and the reliability of results and ... (CHASE) that integrates different search strategies to obtain a. Many methods have been developed to search for homologous members of a protein family in databases, and the reliability of results and conclusions may be compromised if only one method is used, neglecting the others. Here we introduce a general scheme for combining such methods. Based on this scheme, we implemented a tool called comparative homology agreement search (CHASE) that integrates different search strategies to obtain a combined ‘‘E value.’’ Our results show that a consensus method integrating distinct strategies easily outperforms any of its component algorithms. More specifically, an evaluation based on the Structural Classification of Proteins database reveals that, on average, a coverage of 47% can be obtained in searches for distantly related homologues (i.e., members of the same superfamily but not the same family, which is a very difficult task), accepting only 10 false positives, whereas the individual methods obtain a coverage of 28 –38%. Description From a superfamily, each family in turn is chosen to provide the test sequences. The remaining families within that superfamily provide the training sequences. For each superfamily, half of the sequences of each of its families are chosen as training sequences and the remaining ones are chosen as test sequences. For each superfamily: For each family, half of its sequences are chosen as test sequences, and the remaining ones are chosen as training sequences. The sequences of the surrounding superfamily are ignored in the evaluation. evaluation of database-search methods. In PHASE4, the performance of a method is evaluated by its ability to find a test set of sequences in a target database by using a training set of sequences for ‘‘learning’’ (e.g., for calculating an HMM). To construct test and training sets, PHASE4 relies on target databases such as SCOP 1.53 (20) that classify proteins [in a strictly Linnean, i.e., a binary or (according to proper Linnean terminology) ‘‘binomial’’ hierarchical, fashion] according to membership in families (of closely related sequences) and in superfamilies (of not-so-closely related sequences). An ‘‘evaluation scenario’’ is provided by specifying a training and a test set in the target database. For example, the scenario ‘‘distant family one model’’ is used to evaluate a homology search method for its ability to report distant relationships in protein families by splitting off one family from a given superfamily to provide the test sequences and keeping the rest of the superfamily as training sequences. Such a test is executed, for each family in turn, for every superfamily (see Table 1 for commonly used scenarios and ref. 24 for more details). To evaluate the performance of any method numerically, PHASE4 offers ‘‘evaluators,’’ which make use of the list of sequences found that are ranked according to a confidence estimate, called an E value, or according to a score. In the simplest pairwise case of standard BLAST searches, given a normalized pairwise-comparison score S, the E value estimates the expected number of distinct local matches with normalized score at least S in an equally large database (16). This concept can be generalized to other search methods with different Alam et al. Note that training sequences are always ignored in the evaluation and that the division into test and training sequences as described above is performed for each superfamily in turn. For the last model, average performance is calculated over an additional inner loop that considers each family in turn. Shown is a CHASE result for SCOP 1.53 superfamily 3.3.1, featuring the FAD兾NAD(P)-binding domain. The hits are sorted by C value. Rescaled E values [as calculated by the scaling formula (Eq. 1) but displayed in terms of the original E value scale not taking the logarithm] are presented in the five columns on the right. The first 24 CHASE hits are all true positives. The false positives (numbers 25, 28 –30, and 33– 41) and the respective minima of their E values in each column are marked in red. E values in the first 24 rows and the last five columns that are larger (and hence ‘‘worse’’) than these respective minima are marked in orange, indicating where forming consensus C values were more successful than the corresponding single method. (Consider, for example, the HMMSEARCH E values presented in the first of the last five columns. The minimum of these values taken over all false positives is 43, and the values in rows 17, 20, 21, 22, and 24 are ⬎43 and hence marked in orange.) Apparently, each single method addresses different aspects of (super)family membership, and a strong showing for some method(s) not counterbalanced by very poor showings for others seems to be a good membership indication that is (independent of which single method is involved) picked up by our consensus approach. homology-search methods. We rescale E values to homogenize the confidence estimates to combine them. More precisely, to construct a consensus hit list from these data, we first rescale the E values Ei(s) obtained by the individual methods i ⫽ 1, . . . , n Alam et al. Fig. 1. Average coverage of CHASE and its component algorithms. Shown is the averaged coverage of true positives permitting 0 and 50 false positives using SCOP (even half) as the target database and evaluation scenarios provided by PHASE4 (as described in Table 1). e*PSI共s兲 :⫽ min兵a䡠e PSI共s兲 ⫹ b, e 0其 in case e PSI共s兲 ⬍ e 0, and e *PSI共s兲 :⫽ e PSI共s兲 else. For a small scaling threshold e0, the formula rescales small e values according to the regression line and keeps large e values as they are. Keeping large e values as they are may be useful, because they may be ‘‘downscaled’’ otherwise, suggesting a Alam et al. (printed in red) so that the false positive with the smallest rescaled E value would precede the family members f in the ranking based on method i. In the twilight zone of rows 15–24, CHASE performs well, triggered by the rescaled E values marked in green, which indicate success for at least one method. Inspecting the consensus hit lists for all protein families under Alam et al. consideration in the ‘‘distant relationship’’ scenario, we noted that each method detects specific true positives that would not be detected if we had restricted ourselves to combining the other four. The evaluation that we report is one scenario for CHASE. In another scenario, CHASE can be used to search for a maximum number of members of a protein family by providing expert rather then automatic input information to the component methods. Such information could, for example, be patterns described in the PROSITE database (18). These patterns may be found by PS㛭SCAN (18). We provide an advanced user interface by which one can submit protein sequence(s), a sequence alignment, a profile, or a pattern as input for the underlying search methods. In the future, we would like to include more search methods. In some evaluation scenarios and for some data, methods based on support vector machines seem to be superior to some of the methods we combine (e.g., ref. 27), but they lack E values. We are grateful to Mohammed Shahid for developing the interface for CHASE and Inge Jonassen for valuable discussions and advice on PRATT. The ordinary least-squares formula presented in ref. 26 was implemented by S. Morton (Globewide Network Academy, Austin, TX) in the STATISTICS::OLS PERL module available from www.cpan.org. The PERL script ‘‘consensus.pl’’ used as part of the PHI-BLAST input processor was written by N. Brown (EMBL, Heidelberg, Germany) and obtained from www.bork.embl-heidelberg.de兾Alignment兾consensus. html. This work was supported by the International NRW Graduate School in Bioinformatics and Genome Research and the Deutsche Forschungsgemeinschaft. 1. Altschul, S., Gish, W., Miller, W., Myers, E. W. & Lipman, D. (1990) J. Mol. Biol. 215, 403–410. 2. Bork, P. & Gibson, T. J. (1996) Methods Enzymol. 266, 162–183. 3. Eddy, S. R. (1998) Bioinformatics 14, 755–763. 4. Grundy, W. N. (1998) J. Comput. Biol. 5, 479–492. 5. Zhang, Z., Schaffer, A. A., Miller, W., Madden, T. L., Lipman, D. J., Koonin, E. V. & Altschul, S. F. (1998) Nucleic Acids Res. 26, 3986–3990. 6. Eddy, S. R. (1996) Curr. Opin. Struct. Biol. 6, 361–365. 7. Bairoch, A., Bucher, P. & Hofmann, K. (1997) Nucleic Acids Res. 25, 217–221. 8. Hudak, J. & McClure, M. A. (1999) Pac. Symp. Biocomput. 4, 138–149. 9. Jonassen, I., Collins, J. F. & Higgins, D. G. (1995) Protein Sci. 4, 1587–1595. 10. Jonassen, I. (1997) Comput. Appl. Biosci. 13, 509–522. 11. Apweiler, R., Attwood, T. K., Bairoch, A., Bateman, A., Birney, E., Biswas, M., Bucher, P., Cerutti, L., Corpet, F., Croning, M. D. R., et al. (2001) Nucleic Acids Res. 29, 37–40. 12. Silverstein, K. A., Shoop, E., Johnson, J. E., Kilian, A., Freeman, J. L., Kunau, T. M., Awad, I. A., Mayer, M. & Retzel, E. F. (2001) Nucleic Acids Res. 29, 49–51. 13. 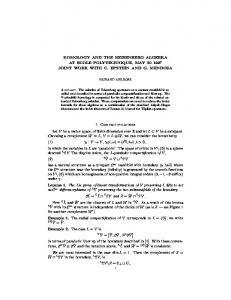 Lundstro ¨m, J., Rychlewski, L., Bujnicki, J. & Elofsson, A. (2001) Protein Sci. 10, 2354–2362. 14. Cuff, J. A., Clamp, M. E. & Barton, G. J. (1998) Bioinformatics 14, 892–893. 15. Rehmsmeier, M. & Vingron, M. (2001) Proteins Struct. Funct. Genet. 45, 360–371. 16. Altschul, S. F., Madden, T. L., Schaffer, A. A., Zhang, J., Zhang, Z., Miller, W. & Lipman, D. J. (1997) Nucleic Acids Res. 25, 3389–3402. 17. Bailey, T. L. & Gribskov, M. (1998) Bioinformatics 14, 48–54. 18. Falquet, L., Pagni, M., Bucher, P., Hulo, N., Sigrist, C. J., Hofmann, K. & Bairoch, A. (2002) Nucleic Acids Res. 30, 235–238. 19. Bairoch, A. & Apweiler, R. (2000) Nucleic Acids Res. 28, 45–48. 20. Murzin, A., Brenner, S. E., Hubbard, T. & Chothia, C. (1995) J. Mol. Biol. 247, 536–540. 21. Thompson, J. D., Higgins, D. G. & Gibson, T. J. 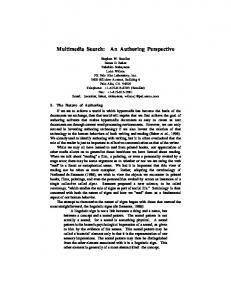 (1994) Nucleic Acids Res. 22, 4673–4680. 22. Felsenstein, J. (1989) Cladistics 5, 164–166. 23. Bailey, T. L. & Elkan, C. (1994) Proceedings of the Second International Conference on Intelligent Systems for Molecular Biology (Am. Assoc. Artificial Intelligence Press, Menlo Park, CA), pp. 28–36. 24. Rehmsmeier, M. (2002) Brief. Bioinform. 3, 342–352. 25. Yona, G., Linial, N. & Linial, M. (2000) Nucleic Acids Res. 28, 49–55. 26. Gujarati, D. (1988) Basic Econometrics (McGraw–Hill, New York). 27. Liao, L. & Noble, W. S. (2002) Proceedings of the Sixth International Conference on Computational Molecular Biology (ACM Press, New York), pp. 225–232. Conclusion Our results show that combining homology-search methods provides improved performance over an entire set of scenarios ranging from the detection of distant to very close relationships between protein sequences. This observation corroborates, in the context of protein family research, the frequent claim that appropriately designed consensus methods can be more reliable than any of their component algorithms. 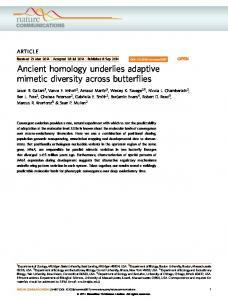 Report "Comparative homology agreement search: An ... - Semantic Scholar"